Retiree of federal gov civil industryContractor/Vendor/Supplier within federal gov civil industryOTHER-Sponsor is a family or household memberAlcohol & Tobacco Tax & Trade Bureau (TTB)Border and Transportation Security (BTS)Bureau of Alcohol, Tobacco, Firearms and Explosives (ATF)Bureau of Economic AnalysisBureau of Engraving & PrintingBureau of Labor Statistics (BLS)Bureau of Land Management (BLM)Bureau of Public DebtBureau of the CensusCentral Intelligence Agency (CIA)Commodity Futures Trading CommissionCongressCongressional Budget Office (CBO)Consumer Product and Safety Commission (CPSC)Dept Agriculture (USDA)Dept CommerceDept DefenseDept Health & Human ServicesDept Homeland SecurityDept InteriorDept JusticeDept LaborDept of Education (ED)Dept of Energy (DOE)Dept of Housing and Urban Development (HUD)Dept of State (DOS)Dept of Veterans Affairs (VA)Dept TransportationDept TreasuryDrug Enforcement Agency (DEA)Employment Standards AdministrationEnvironmental Protection Agency (EPA)Equal Employment Opportunity Commission (EEOC)Executive BranchFamily Member of all discontinuned SEGSFarm Credit AdministrationFederal Aviation Administration (FAA)Federal Bureau of Investigation (FBI)Federal Communications Commission (FCC)Federal Deposit Insurance Corporation (FDIC)Federal Election Commission (FEC)Federal Emergency Management Agency (FEMA)Federal Highway AdministrationFederal Labor Relations AuthorityFederal Reserve SystemFederal Trade Commission (FTC)Food and Drug Administration (FDA)General Services Administration (GSA)Government Accountability OfficeGovernment Printing Office (GPO)Internal Revenue Service (IRS)International Trade Administration (ITA)Judicial BranchLegislative BranchLibrary of Congress (LOC)Minority Business Development AgencyNational Aeronautics & Space Administration (NASA)National Archives & Records Administration (NARA)National Capitol Planning Commission (NCPC)National Credit Union Administration (NCUA)National Endowments for the ArtsNational Endowments-Humanities Institute of Museum&Library ServicesNational Institute of Standards and Technology (NIST)National Institutes of Health (NIH)National Oceanic and Atmosphere Administration (NOAA)National Park ServiceNational Railroad Passenger Corporation (Amtrak)National Science FoundationNational Technical Information ServicesNational Telecommunications & Information IndustryNuclear Regulatory CommissionOccupational Safety & Health Administration (OSHA)Office of Management & Budget (OMB)Office of Personnel Management (OPM)Peace CorpsPension Benefit Guaranty CorporationSecurities and Exchange Commission (SEC)Selective Service SystemSmall Business AdministrationSmithsonian InstitureSocial Security Administration (SSA)Supreme Court of the USTrade and Development AgencyTransportation Security Administration (TSA)US Agency for International DevelopmentUS Citizenship & Immigration Services (USCIS)US Coast GuardUS Commission on Civil RightsUS CourtsUS Fish and Wildlife ServiceUS Geological Survey (USGS)US International Trade CommissionUS Patent and Trademark OfficeUS Postal Service (USPS)US Secret ServiceUS States MintUS Tax CourtWhite House OfficeFamily or Household Member of FedChoice FCU Employee and their name is . This Main Share Savings Account establishes your membership and account number at FedChoice. An initial deposit of $5.00 is required upon account opening. Our Special Savings Account can help you set aside funds for any number of reasons - everything from a vacation, an upcoming wedding, tuition, taxes or any other reason you can think of. Our Holiday Club Account helps you set aside money for the holiday season and can be funded automatically through payroll deduction. Are you looking for higher dividend rates to complement your Savings Accounts? If so, a FedChoice Money Market helps your earn higher dividend rates. Our Premium Checking Account may be right for you if you carry a high balance in your checking account and want to earn dividends. If you prefer to do your banking online, use direct deposit, love eStatements and BillPay Service this may be the account for you! This account gives a $3.00 monthly REWARD providing you conduct your transactional business electronically rather than in our Financial Service Centers. Our Free Checking Account gives you the freedom to smartly manage your money. Use it as much or as little as you want – there’s no minimum monthly balance or minimum deposit required. Please attach a copy of your chosen method of identification. 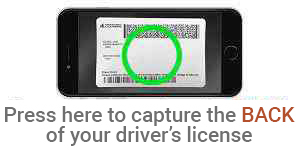 This may include a Government Issued ID, Drivers License, State ID or a Passport with current address. I apply for membership, or I am requesting a sub-account, in FedChoice Federal Credit Union and agree to conform with its Bylaws and any amendments. By signing this application and establishing a membership account, I understand that I can establish other sub-accounts at any future time by calling, writing, going online or coming into any Financial Service Center to request this service. My signature constitutes a request for any identifying number and/or access device issued by the Credit Union in connection with such accounts. I understand that the Credit Union has the right to approve or deny opening sub-accounts or other access device services and that credit reports or other third party information may be obtained at any time provided that they are used for any permissible purpose as defined under the Fair Credit Reporting Act (FCRA). The Credit Union is authorized to charge this account for any obligation owed by me or any joint/multiple party owners. Any account ownership designated under this account will apply to all additional sub-accounts. I agree to the terms and conditions detailed in the FedChoice Federal Credit Union Membership and Account Agreement including Disclosures. Important Information About Account Opening Procedures: To help the government fight the funding of terrorism and money laundering activities, Federal law requires all financial institutions to obtain, verify and record information that identifies each person who opens an account. What this means to you: when you open an account, we will ask for your name, address, date of birth, and other information that will allow us to identify you. We will also ask for your driver's license or other identifying documents. By proceeding, I hereby agree to the terms and conditions in the Membership and Account Agreement including Disclosures. I have read and understand the eSignature Consent. I have read and understand the Electronic Delivery Disclosure.